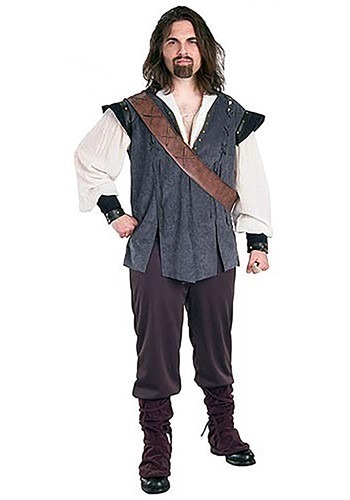 Adult Renaissance Man Costume By: Rubies Costume Co. Inc for the 2015 Costume season. Back in the time of castles and kings the everyday man of the Renaissance made a living doing various jobs around the kingdom. Some would become blacksmiths who created the swords and armor that knights would use to save pretty princesses. Others would get into woodworking and would carve out bows and arrows for the merry men out in Sherwood Forest. And now you can join your fellow tradesmen in olden times in this great Adult Renaissance Man Costume!